for protection and security so designers made the “Three Box design concept”- bonnet, passenger compartment and boot which gives Maybach a SUV type structure. It is the combination of SUV and comfort of Limousine which makes it Ultimate Luxury. 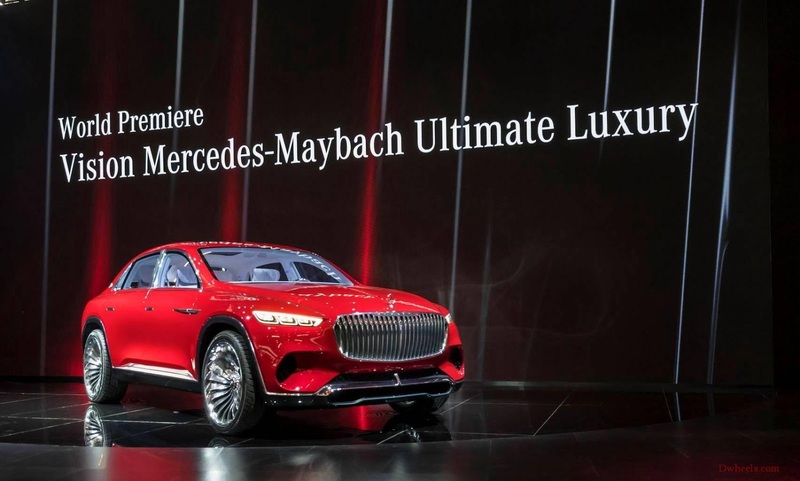 If Vision Mercedes-Maybach Ultimate Luxury touches the road by 2019-2020 then it will compete with big rivals like first-ever SUV Cullinan by Rolls-Royce, BMW X7 and Lamborghini URUS. 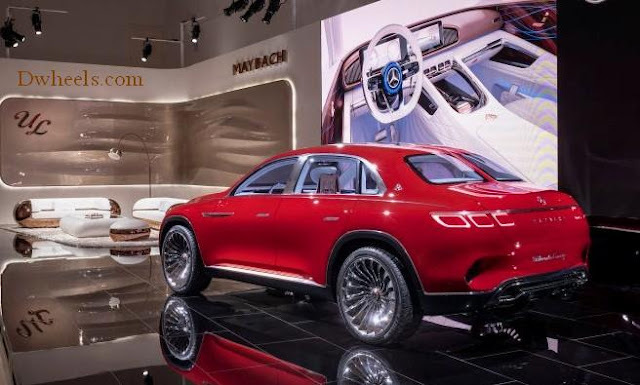 The Vision Mercedes-Maybach Ultimate Luxury is considered as an electric vehicle loaded with four compact permanent-magnet synchronous motors fixed on the every wheel which offers the fully variable all-wheel drive which produces power of 550KW (750PS) hit the Top speed limited to 250 km/h. The flat underfloor battery has a usable capacity of around 80 kWh, producing an NEDC range of over 500 kilometers (according to EPA: over 200 miles). The fast-charging function is also convenient. In just five minutes, it can be charged to achieve an additional range of around 100 kilometers. 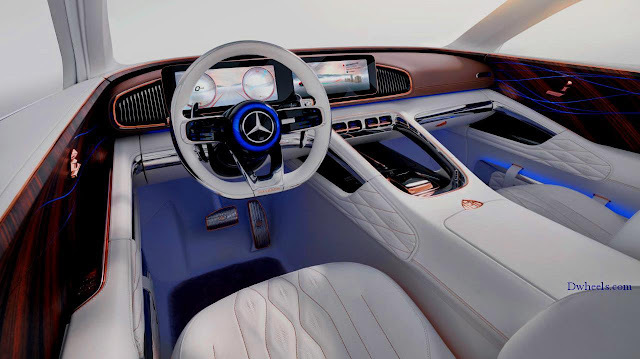 The Chief Design Officer at Daimler AG Mr. Gorden Wagener says that this concept combines the DNA of an SUV with that of a saloon to produce an ultra-modern SUV of three-box design. 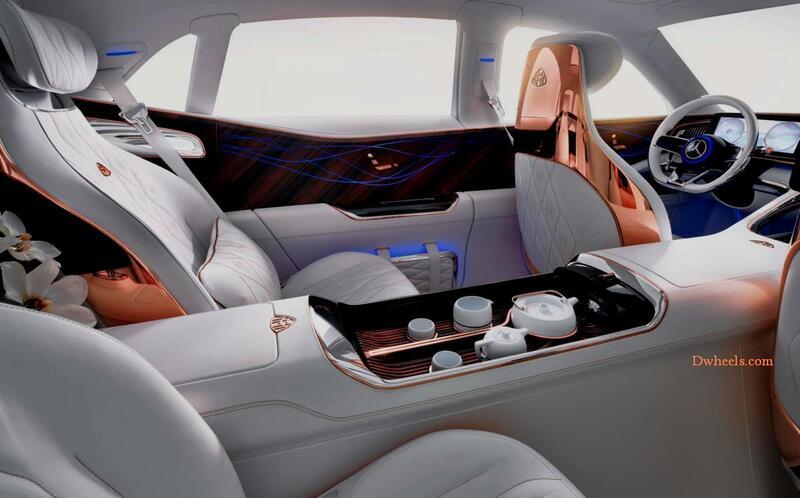 The elite combination of Blue light, Chinese Magic Wood, Panoramic glass sunroof, two rear entertainment screens and Crystal white nappe leather seats are enhanced by diamond stitching in rose gold centre console equipped with an integral heated tray with teapot and cups, allowing exquisite tea drinking enjoyment while on the road. I don’t know why teapot is here not a wine bottle. According to Mercedes “the philosophy of tea plays a key role in bringing body and mind into balance while discovering the path to inner calm and vitality”. The car pays music according to your current mood, knows the appointment calendar and plans the routes accordingly. Comfort control has been carried over from the S-Class. In the package of comfort & ambience you will get system such as massage, fragrance, light and music are combined, helping to regenerate and improve concentration. Comfortable seats impress with their adjustment kinematics. Reclining seats feature a calf support, which is freely adjustable for length and angle.w atch this video and enjoy it. After watching the new concept of Vision Mercedes-Maybach Ultimate Luxury’s modernity, elegance, ambience, it give us the idea what will you get in coming generations of Mercedes-Maybach models. If you like this article then please appreciate us if you dislike then please encourage us by commenting or if you want to know about any other information about any other car ,you can comment in the comment box or our Facebook page “Dwheels.blogspot.com”, or by e-mail on info@dwheels.com. This is a very nice & informative article. After the work done of the limousine passes a thorough inspection and road test.